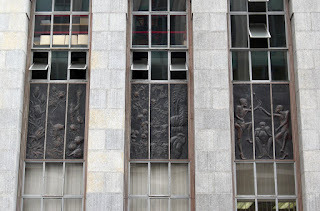 Part of a series of bronze friezes on the side of a building in Cape Town, SA. 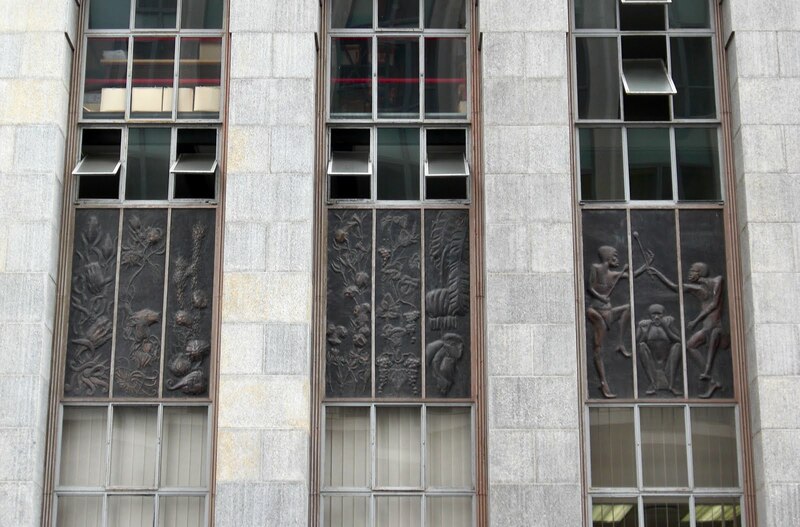 I have no idea from whence they date or who created them (or even which building they grace), but I liked the African imagery. It struck me as odd in a city that generally tries to keep Africa at a distance in favor of ersatz Britannia.